This page is devoted to postcards and photographs of the ports and piers of Suffolk. There are alphabetical lists below on the Piers covered. There is also a list of other Suffolk pages on this site. Beneath these are the images which are arranged geographically starting in the north of the county. 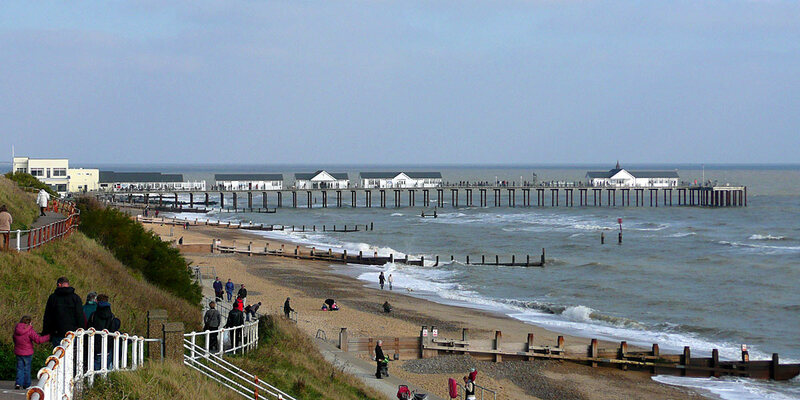 Three piers on the Suffolk Coast, Felixstowe, Southwold and Lowestoft were built by the Coast Development Company, owners of the Belle Steamers. They also owned Clacton and Walton Piers which they upgraded. Although steamships had lost a percentage of their revenue due to the advent of the railways, there was still a lucrative market for sailing excursions and pleasure trips. 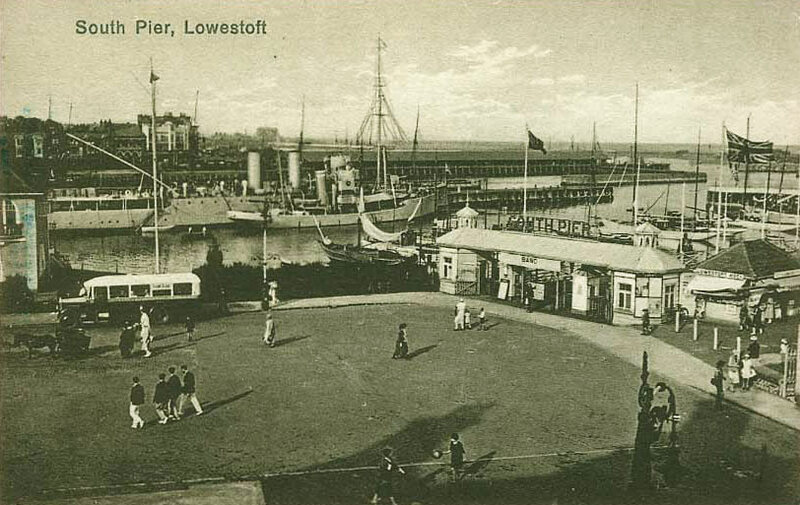 As the pier landing stage allowed easy mooring facilities, and the pier itself offered numerous entertainments, it was an obvious way forward for the two interests to be combined within one operating company. 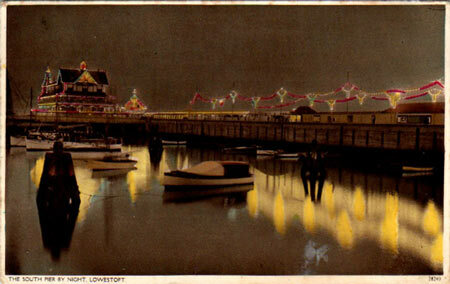 The company was also associated with various enterprises and properties in the resorts where they owned piers. Belle Steamers became bankrupt during the First World War. A new company using the same marketing name was created after the war, but most piers were sold off. Suffolk - Page 2: Piers & Ports - This Page! 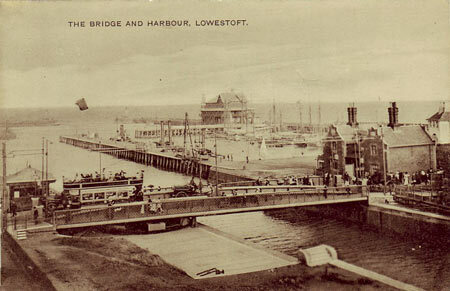 In 1831, two short 500 ft piers were built at Lowestoft either side of the harbour entrance. They were known as the Inner North and Inner South Piers. 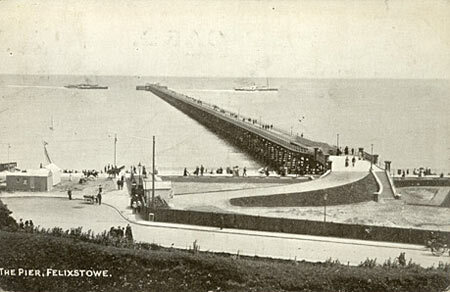 In 1846 the South Pier was modified to be 1320 ft long as part of harbour development. Additions included reading rooms in 1853/4 and a bandstand and jetty in 1884.The reading room was destroyed by fire in 1885, replaced by a new pavilion in 1889-91. 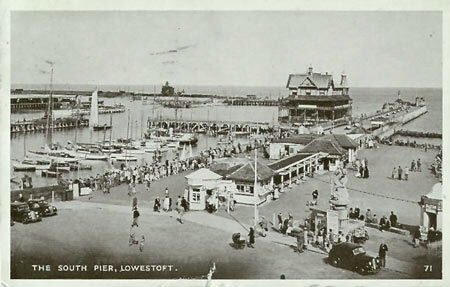 In 1928 the pier was strengthened with concrete additions. 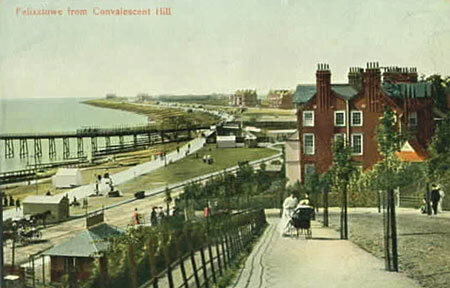 The pavilion was destroyed in the Second World War. A modern new pavilion was opened in 1956. A leisure centre was opened in the mid 1970s. 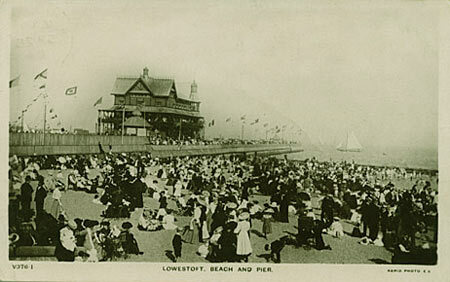 The pavilion was demolished to make way for a marina which was not built. 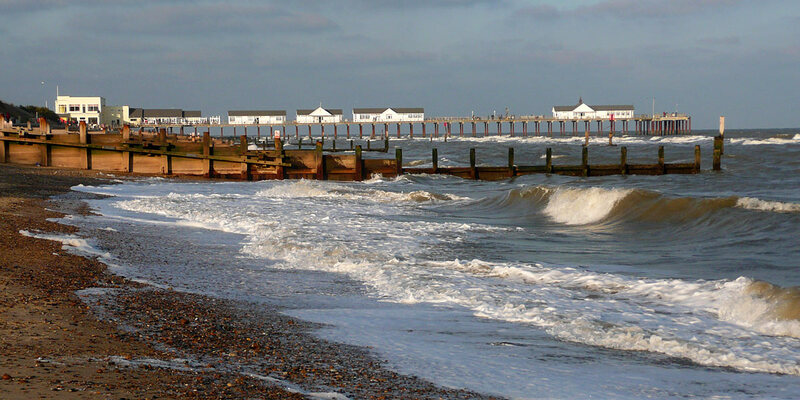 The seaward end of the pier was closed in 1987, but re-opened in 1993 after repairs by Waveney District Council. Lowestoft Claremont Pier was built by the Coast Development Company in 1902-3, who also built the piers at Southwold and Felixstowe. They were all functional piers built to allow Belle Steamers (owned by the company) to disembark visitors, primarily from London. 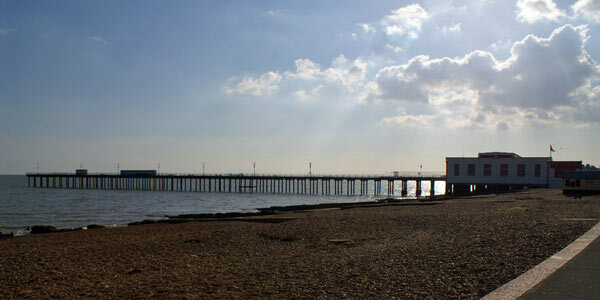 Designed by D. Fox the wooden pier was originally 600ft (181.8m) in length and 36ft (10.9m) wide. Built midway along the Esplanade, Lowestoft Claremont Pier boasted a promenade that was said to "equal the best in many resorts". In 1912-13 the T-shaped pier head was extended and redeveloped to facilitate a new pavilion, and the original wooden piles were renewed using green-heart timber. 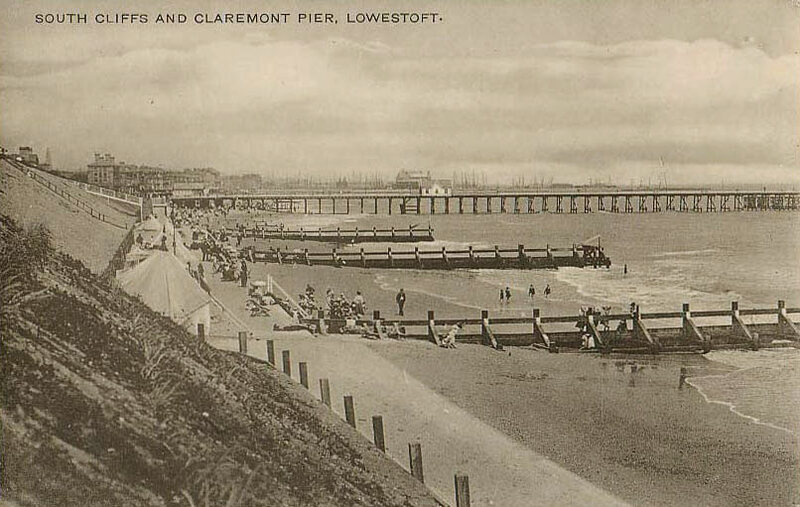 This extension now gave Lowestoft Claremont Pier an overall length of 760ft (230.3m). In 1912-13 a T-shaped head was added, along with a pavilion. Steamer services ceased with the Second World War, and the pier was breached. 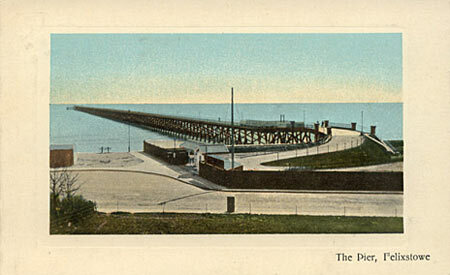 In 1948 the pier was abandoned, but was bought in 1949 by George Studd who proceeded to repair it. In 1962, a length of 40 ft at the end was destroyed in a storm. 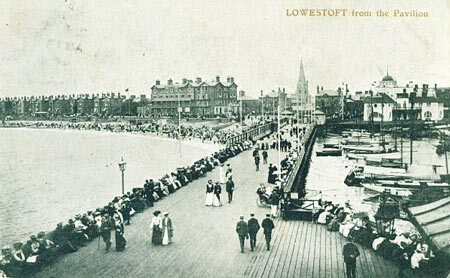 The Coast Development Company, who operated the Belle Steamers fleet between London and East Anglian resorts, built Southwold Pier (along with Lowestoft and Felixstowe). Construction was authorised in 1899, and a design from W Jeffrey was accepted. 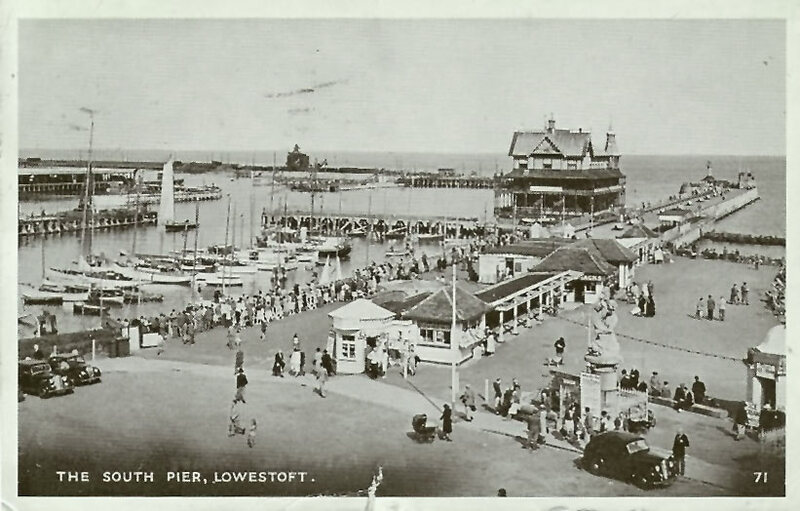 Opened in the summer of 1900, the wooden pier extended to a length of 810ft (245m), and had a T-shaped landing stage at the head. 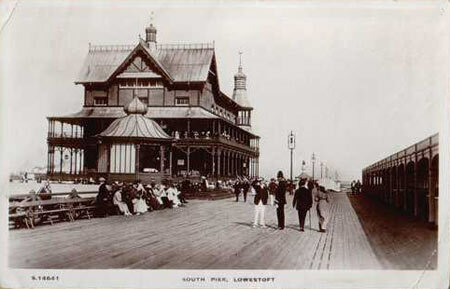 A wooden pavilion with refreshment rooms was later erected at the shoreward end. 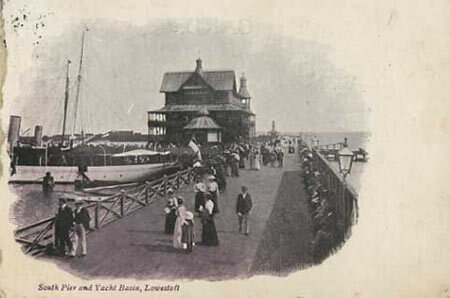 Despite offering these basic facilities, Southwold Pier (and the other Coast Development Company piers) were always designed with the functional purpose of bringing visitors from London to disembark at various places along the East Coast on route to Great Yarmouth. 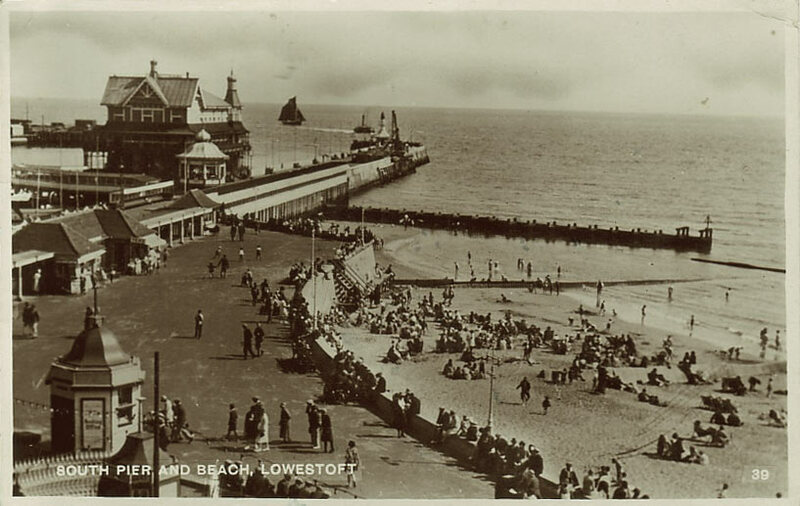 The Amusement Equipment Company took control of Southwold Pier in 1906 when the Coast Development Company was succeeded by the Coast Development Corporation Ltd. Belle Steamers continued to operate the London to Great Yarmouth service until the early 1930s. 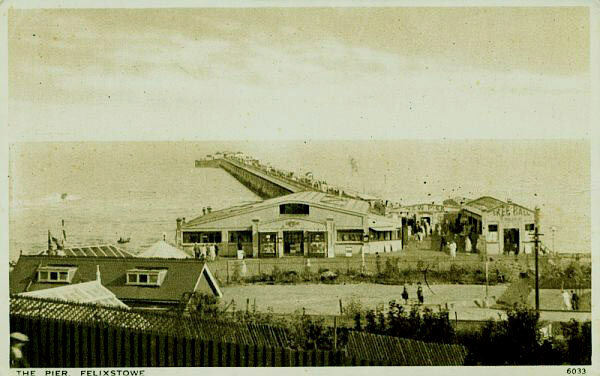 The T-shaped landing stage at the head was swept away in a violent storm in 1934 and was never replaced. In 1936 the timber buildings at the shoreward end were replaced with the two-storey modernist pavilion that remains today. 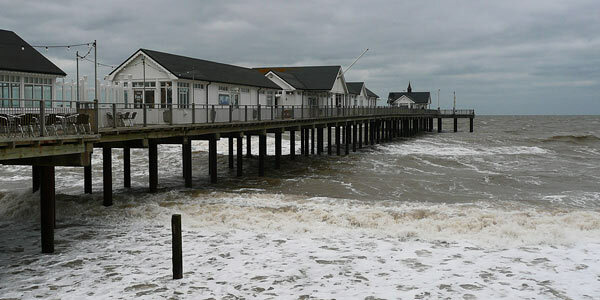 In common with the majority of piers on the east and south coasts of England, Southwold Pier was sectioned in 1940 for fear of invasion. 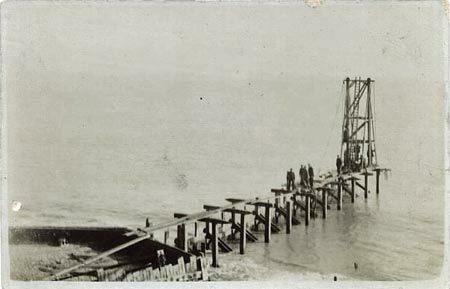 A drifting sea mine subsequently struck the pier, destroying a further section. Southwold Pier was repaired in 1948, at a cost of £30,000. In October 1955 a storm isolated the seaward end, and a further gale in February 1979 reduced the piers length to only 150ft (45.4m). 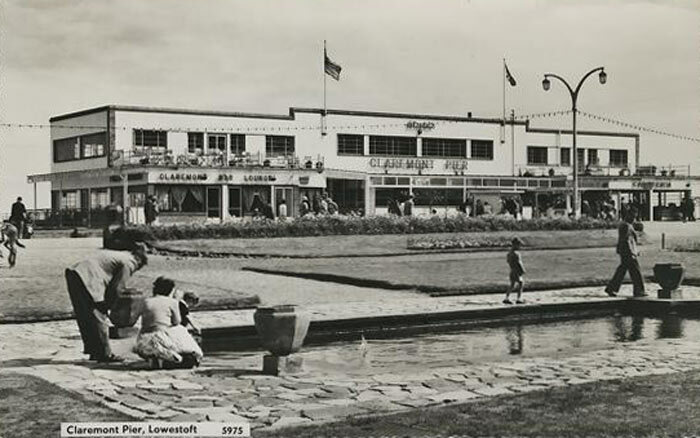 The pavilion building has performed many roles during its time - in the 1960s it was a public house. Purchased by the Iredale family in 1987, the pavilion's first floor theatre and function rooms were completely restored, the former cafeteria re-opened as Flippers Diner, and a fitness studio replaced the old Neptune bar. Part of the ground floor remained as an amusement arcade, with a bar to the rear. 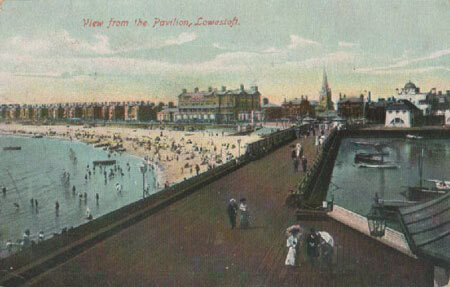 Access to the surviving section of the pier neck was from the bar, and served as a beer terrace. 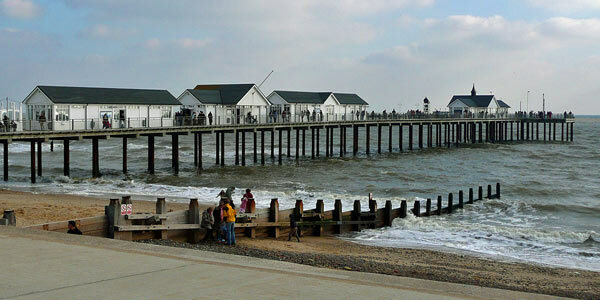 A fund raising campaign, started in 1999, secured sufficient money to extend Southwold Pier to its former length. This was officially opened on 3rd July 2001. The T-shaped head has also been restored, and when the Balmoral pulled alongside in June 2002 it was the first ship to do so in nearly half a century. In 2005, the pier was bought by Stephen Bournes and remains a family-run business. In 1987, the Pier was bought by Chris Iredale and work to rebuild it started in 1999 making new legs with the latest piling techniques. In 2001, the work was completed with the pier reaching its current length of 623 feet. 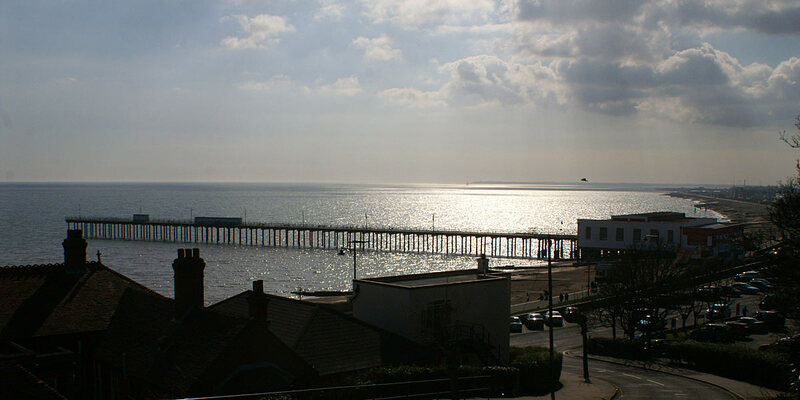 It was named Pier of the Year in 2002 and is Britains only 21st Century Pier. In 2005, the Pier was bought by Stephen Bournes and remains a family-run business. A variety of different shops, cafes and bars are open along the length of the pier, which is extremely popular. 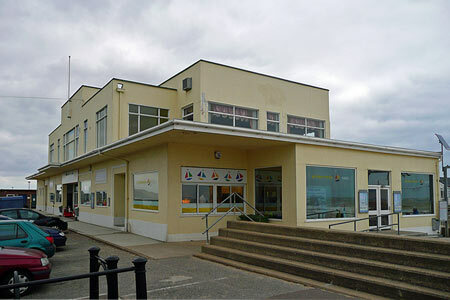 The next development phase appears to be the restoration of the 1936 pavilion, partially to provide apartments to let. Aldeburgh Pier was started in 1876 and was planned to be 561 feet long. Only half was completed when work stopped in 1878. 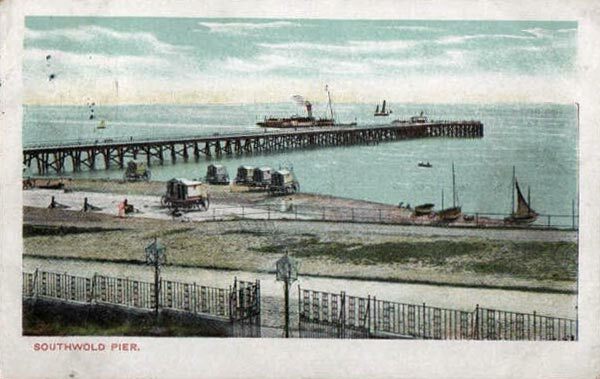 The pier was later rammed by a ship, and was demolished in the 1880s. 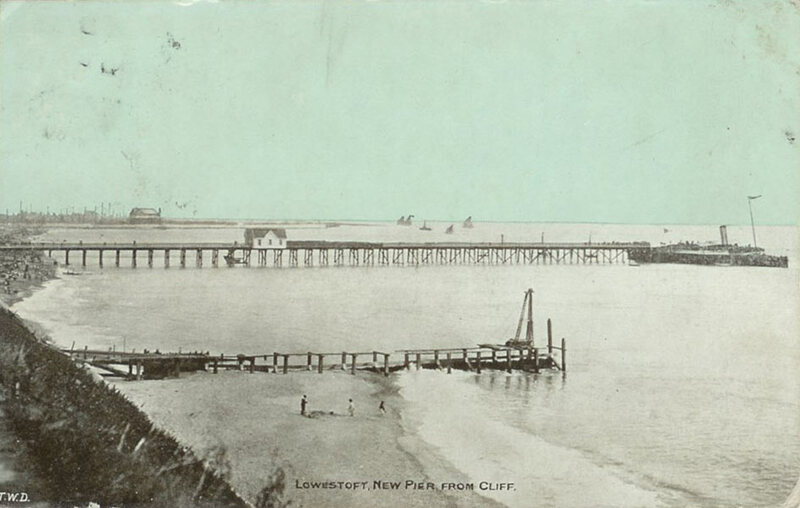 At one time the longest in East Anglia, Felixstowe Pier was one of a trio built by the Coast Development Company, who operated the 'Belle' Steamer fleet based at London Bridge. Felixstowe Pier was the last of the trio (others were Lowestoft and Southwold) to be built, opening in the August of 1905. 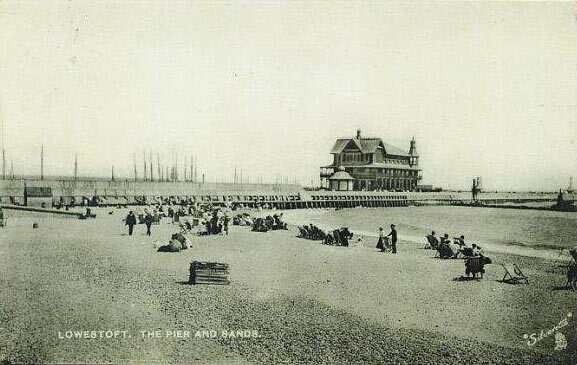 The new pier was be built from timber as opposed to iron. Developments in ship building using foreign timbers like Jarrah and Greenheart, that were much more resistant to worm attack, had made the timber option a much more cost effective one. Designed primarily to facilitate the berthing of steamers, Felixstowe Pier was of relatively simple design. Constructed by Rogers Brothers the pier extended to a length of 2,640ft (800m) and was little more than a promenade deck, with railings along the entire length, and a T-shaped landing stage at the head. A large pavilion was also constructed at the shoreward end. 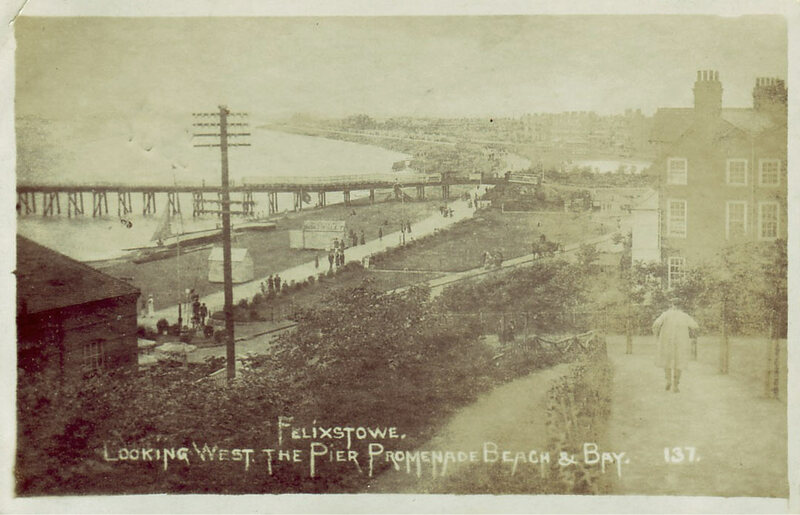 A 3.5ft (1.06m) gauge electric tramway ran the entire length of Felixstowe Pier carrying passengers and baggage for the princely sum of one penny. Eventually forced into liquidation, the Coast Development Company sold Felixstowe Pier to East Coast Piers Ltd in 1922. 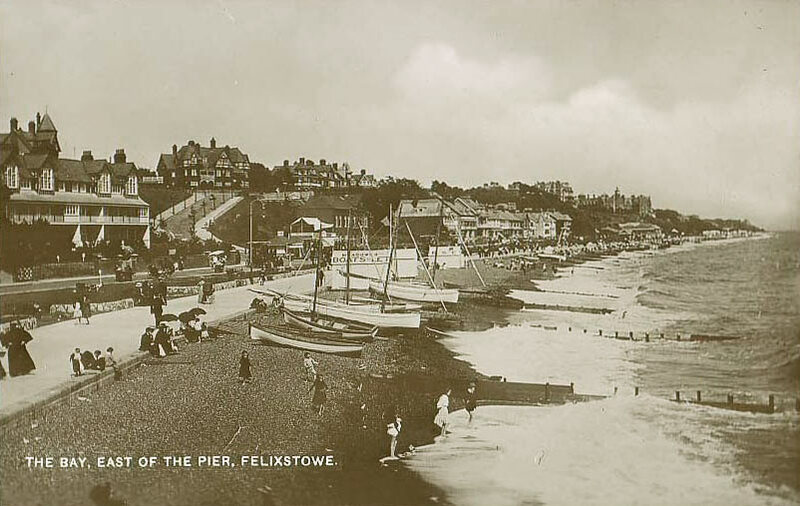 Like most piers on the East Coast of Britain, Felixstowe Pier was sectioned during the Second World War for fear of German invasion and, in common with several, it was a situation that the pier would never really recover from. The tramway had obviously been suspended and the now isolated seaward end, that had remained neglected throughout the conflict, was considered obsolete. This was subsequently demolished, reducing the pier's length to a much shorter 450ft (136m). 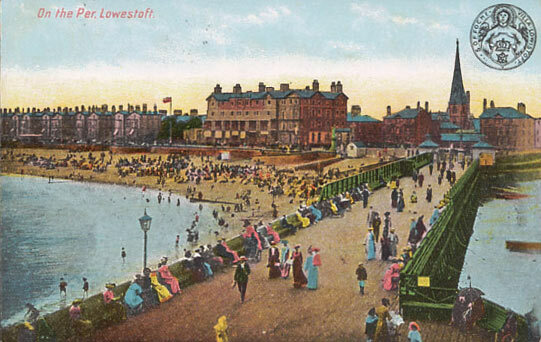 Little else was to change during the latter half of the 20th century until the mid 1990s, when plans were drawn up to completely rebuild Felixstowe Pier and to develop the shoreward end. 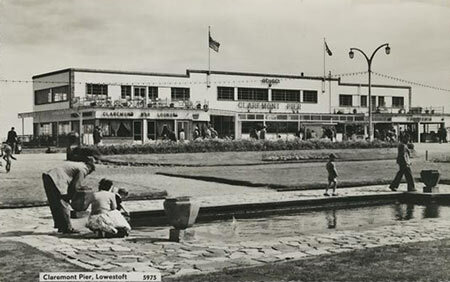 This included ten-pin bowling, roller-skating, cafe, shops and bar. The remaining deck area would have kiosks constructed along the pier length and a new landing stage would be built at the head. This project was abandoned as the necessary funds could not be raised, and the venture was deemed non viable. 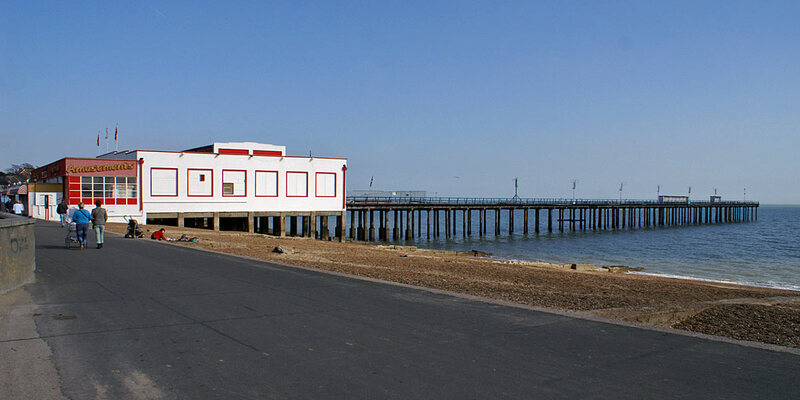 Unfortunately, the charitable trust formed in 1999 to save the future of Felixstowe Pier has since wound up its operations. 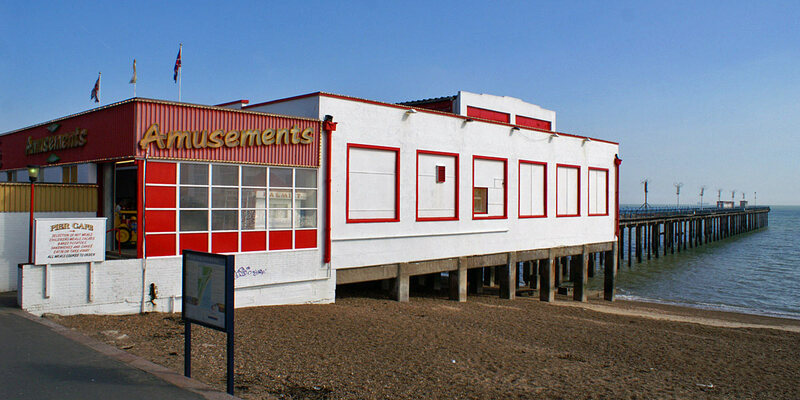 The structure was subsequently returned to its owners, Pier Amusements Ltd, who applied for a demolition order in the first quarter of 2004. The fate of this pier now sadly looks inevitable. The shore pavilion remains open in 2007, with a very short section of the pier, with the truncated remains being closed.